Capacity: 30 ml Finished: Blue frosted bottle in diamond design with nickel plated metal and blue squeeze bulb spray mounting. 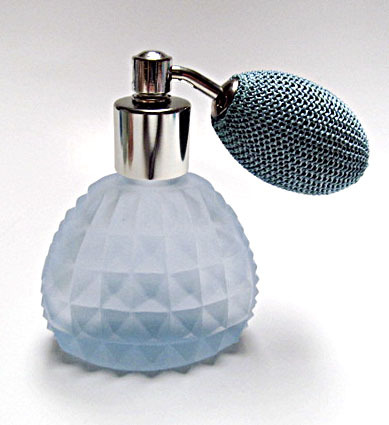 Feature: Perfume refillable. Small funnel attached. Colorful box packed. Premium gift suitable for all occasions.